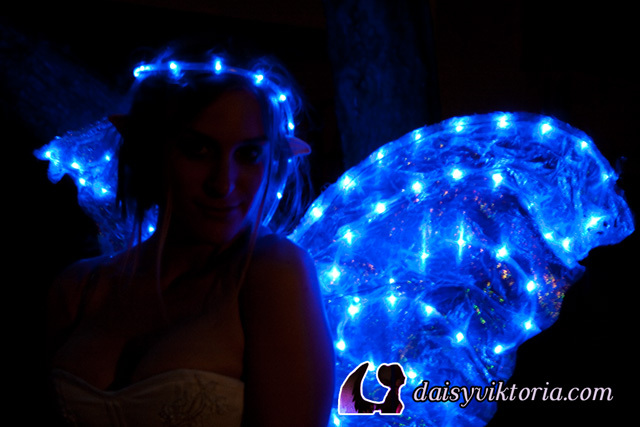 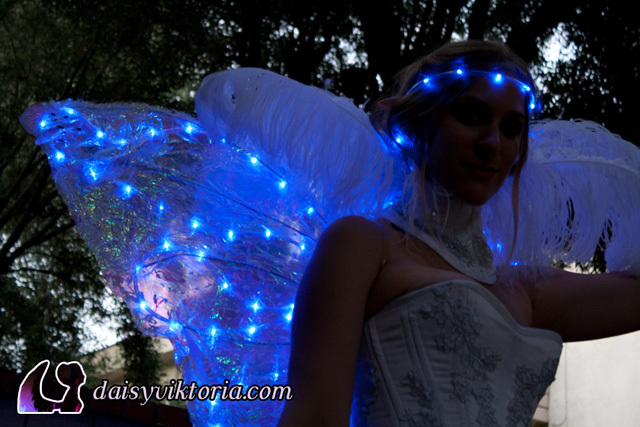 The Illumination Faerie lights the way wherever she goes. 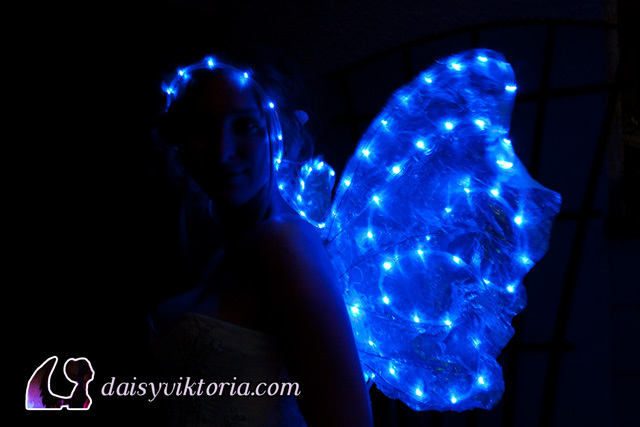 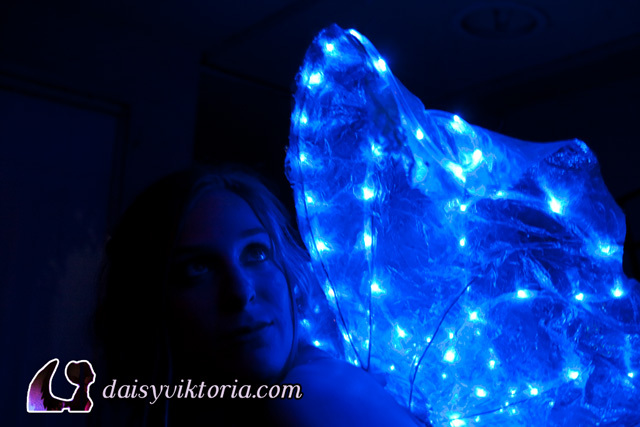 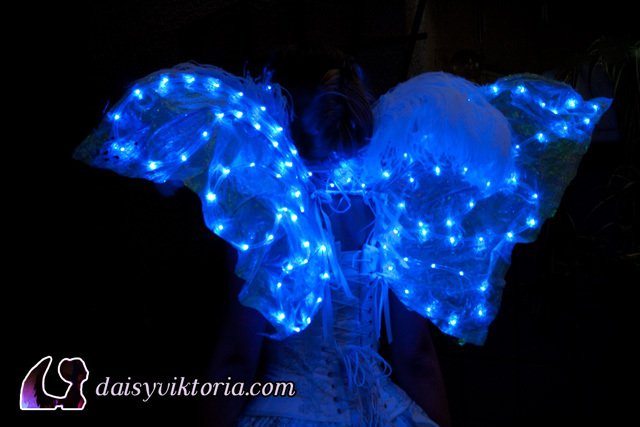 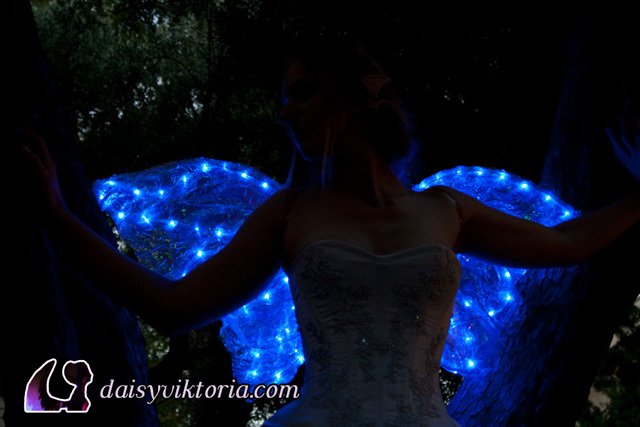 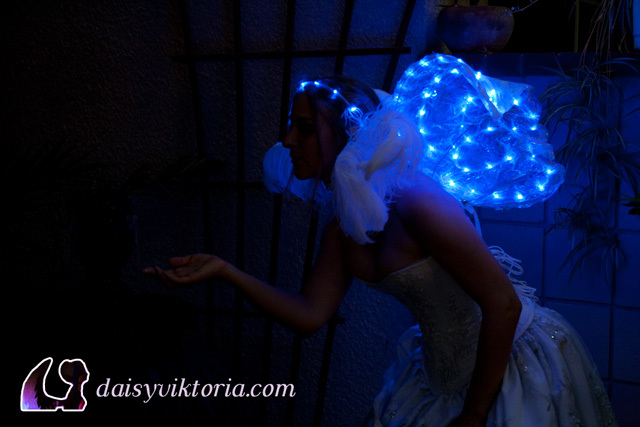 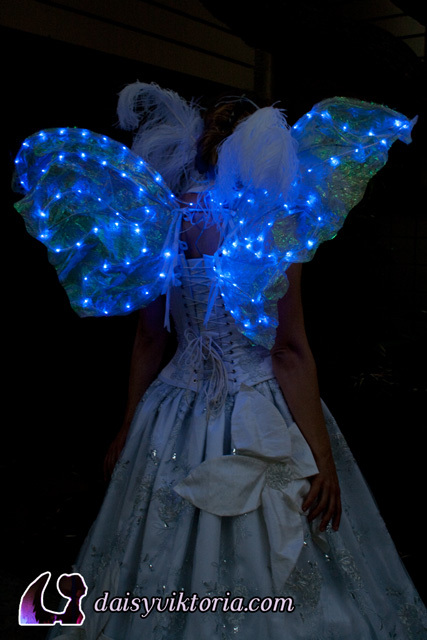 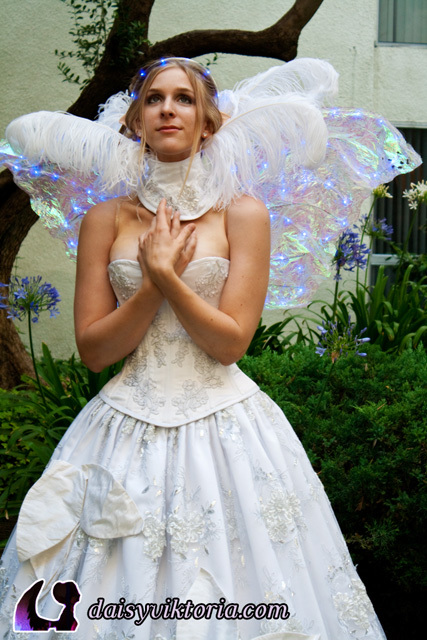 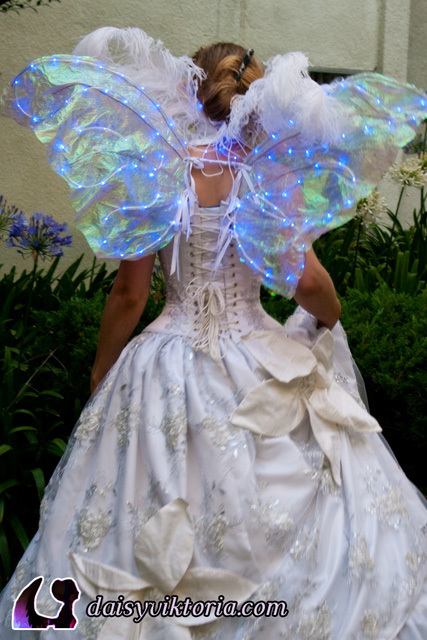 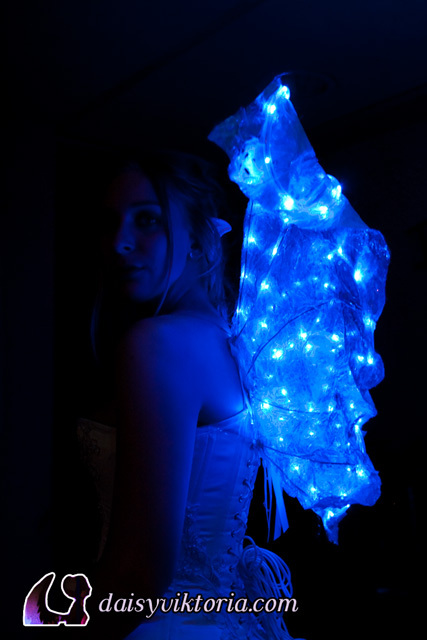 Her wings and halo light up with LEDs, and she wears a glittering white gown of silk and floral designs. 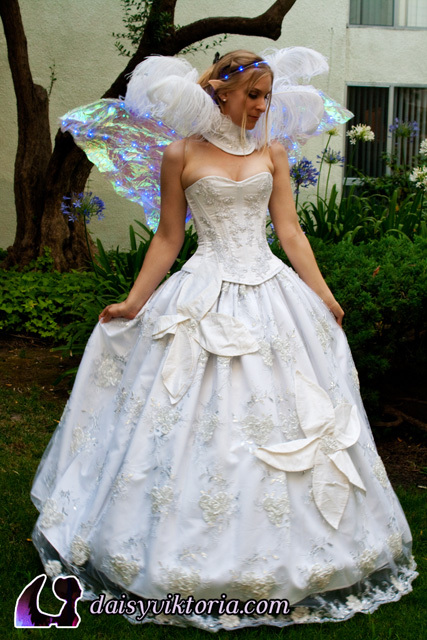 The gown is also featured in my fashion line. 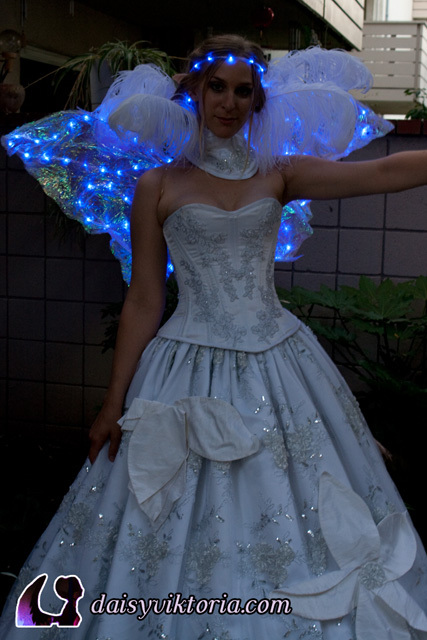 Watch a video of this costume in motion on YouTube!